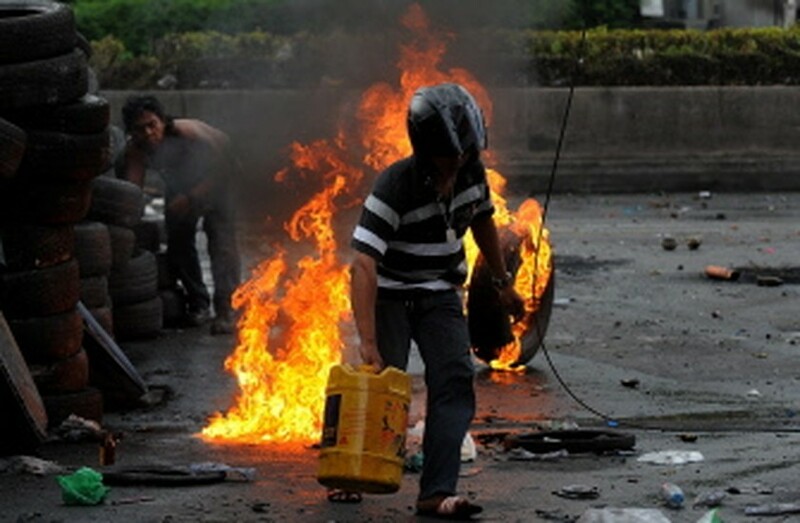 BANGKOK, May 18, 2010 (AFP) - Amnesty International on Tuesday accused Thailand's army of "reckless use of lethal force" in a campaign to contain anti-government street protests that has left 38 dead and 279 injured. The London-based rights group said Thai troops were violating the law by firing live ammunition in several areas around Bangkok during five days of violence triggered by attempts to seal the "Red Shirts" protest zone. "Eyewitness accounts and video recordings show clearly that the military is firing live rounds at unarmed people who pose no threat whatsoever to the soldiers or to others," said Amnesty's Thailand specialist Benjamin Zawacki. "This is a gross violation of a key human right -- the right to life," he said in a statement. After two months of protests and sporadic clashes, the violence escalated late last week as the government launched an operation to seal the Red Shirts' vast encampment in an upscale retail and hotel district. The government has said it is also battling hundreds of "terrorists" hiding among demonstrators who it says are responsible for targeting civilians. New York-based Human Rights Watch this week criticised the designation of "live fire zones" by Thai authorities battling anti-government protesters, saying it put them on a "slippery slope" towards serious rights abuses.